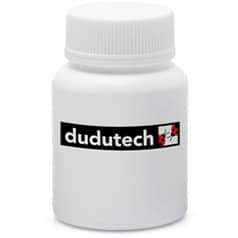 DIGLYTECH ® contains living Diglyphus isaea a parasitic wasp that is ectoparasitic i.e. develops nearby, but outside the leaf miner larvae. It is used for the management of leaf miner in all larval stages but preferably the second and third stage. Adult Diglyphus isaea is normally 2-3 mm in size, metallic green in colour and with short antennae. The other stages develop near the host. Release the parasitic wasps between the leaves in the mornings or in the evenings. After considering pesticide History and program of the area to be applied. Female adult parasitic wasps of Diglyphus isaea kill leaf-miner larvae in the mine and lay an egg on it. The egg develops into a parasitic wasp inside the mine (but outside the leaf miner), using the dead larvae as food. Host feeding also takes place. Two weeks after introduction it is possible to see parasitization. The presence of Diglyphus isaea is recognized by short/stopped mines containing dead larvae. Pupae of Diglyphus can be seen when holding leaves up to the light. DIGLYTECH ® is recommended when Leaf miner infection increases and will do well in conditions favouring leaf miner. Apply 0.2 Diglyphus/M2 or 2000 Diglyphus/Ha. For a minimum of 3 applications per season but depending on the scouting records. Storage after receipt is a maximum of 1-2 days at temperatures of 8-10° C with the bottles standing upright and in the dark.